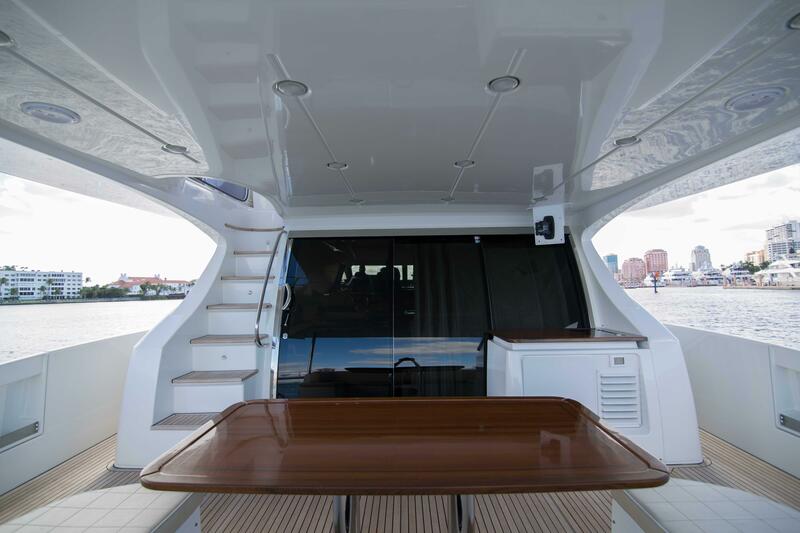 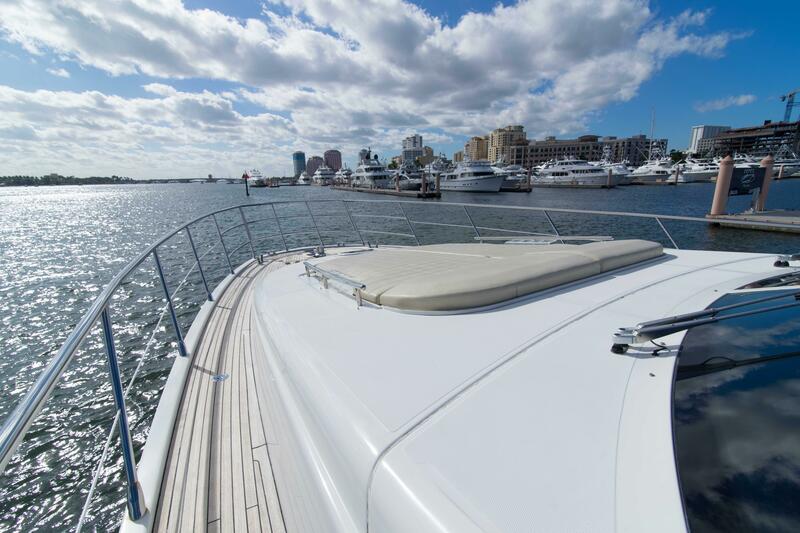 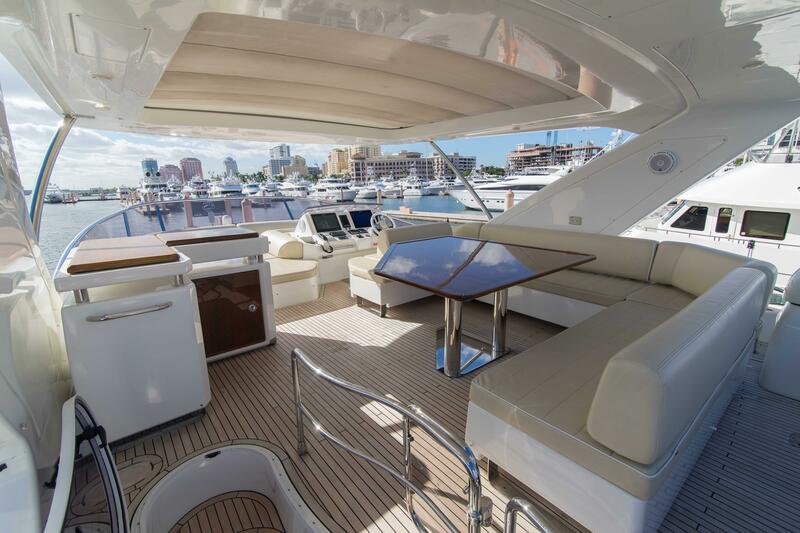 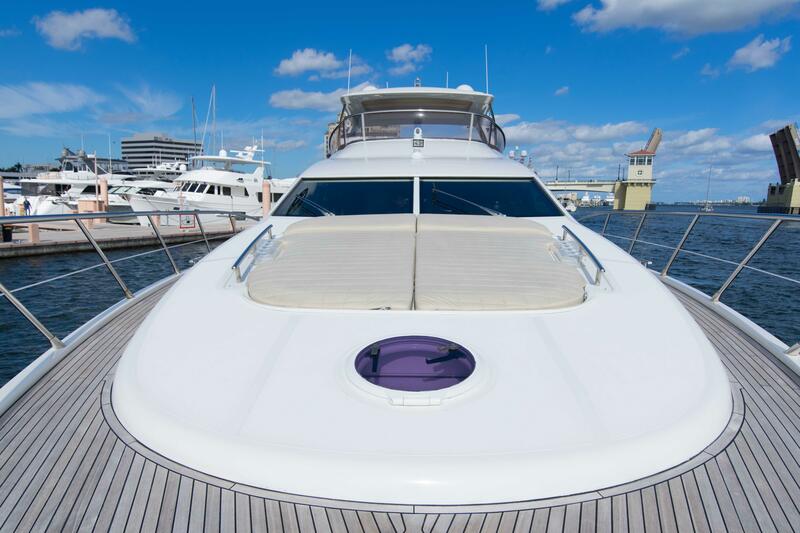 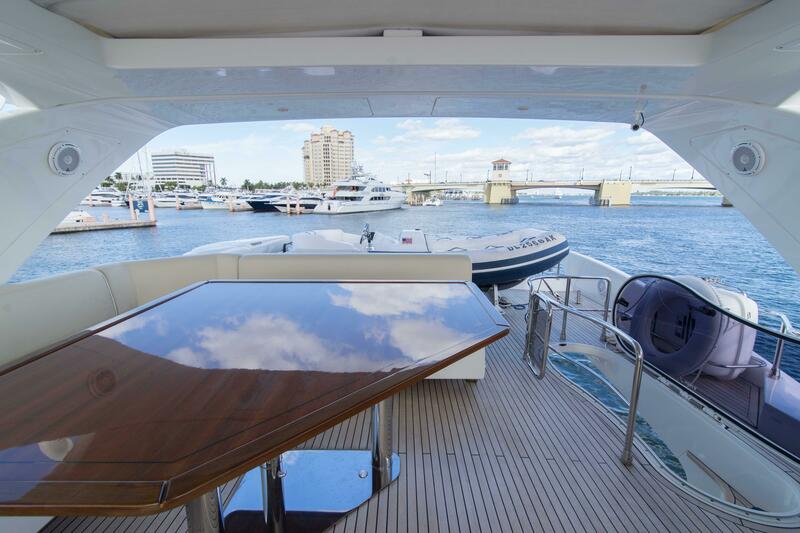 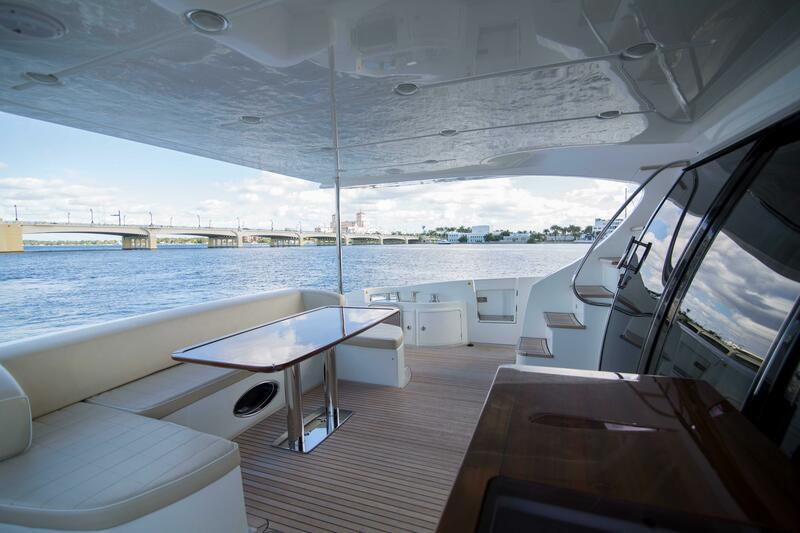 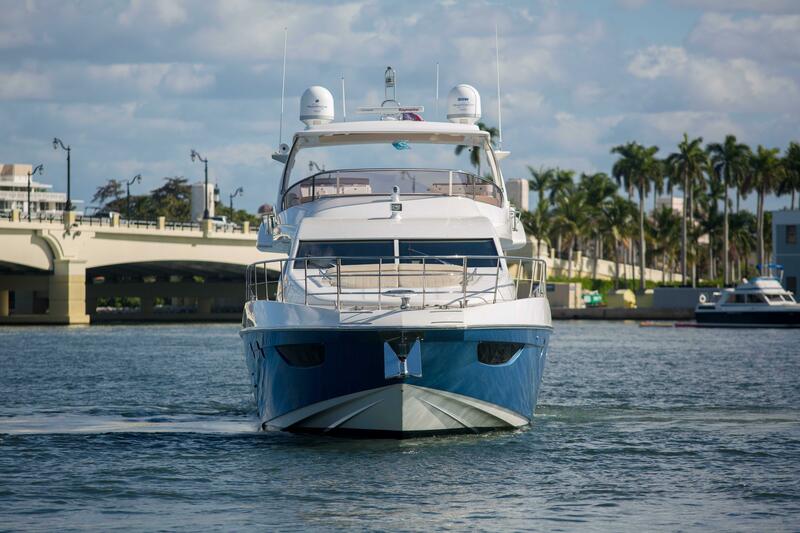 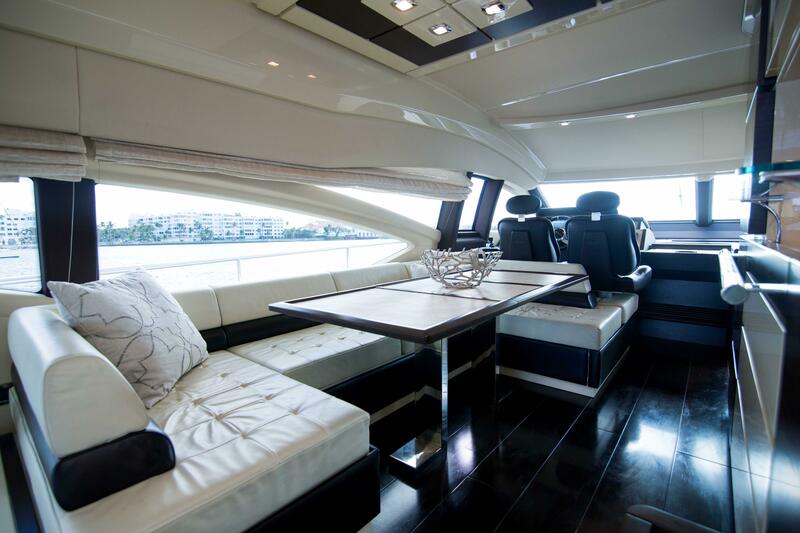 2014 Azimut 70' Flybridge "WINE KNOT"
The 2014 AZIMUT YACHTS 70’ FLYBRIDGE MOTOR YACHT WINE KNOT is in pristine condition. 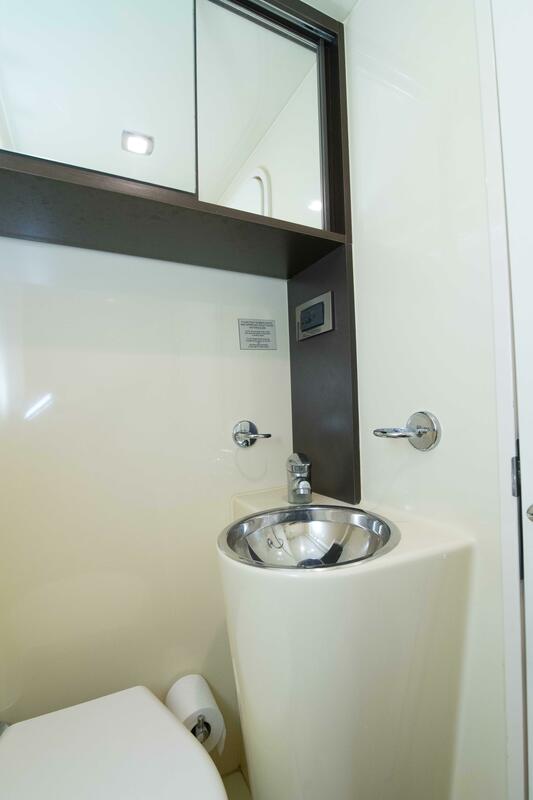 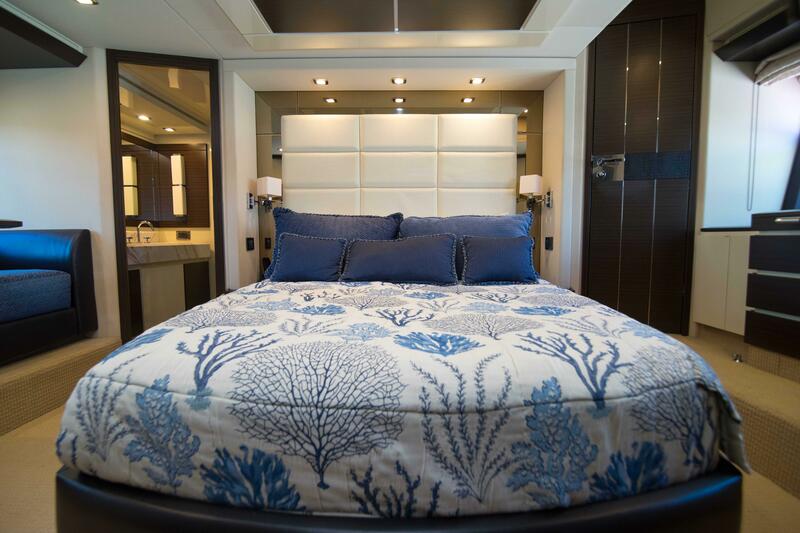 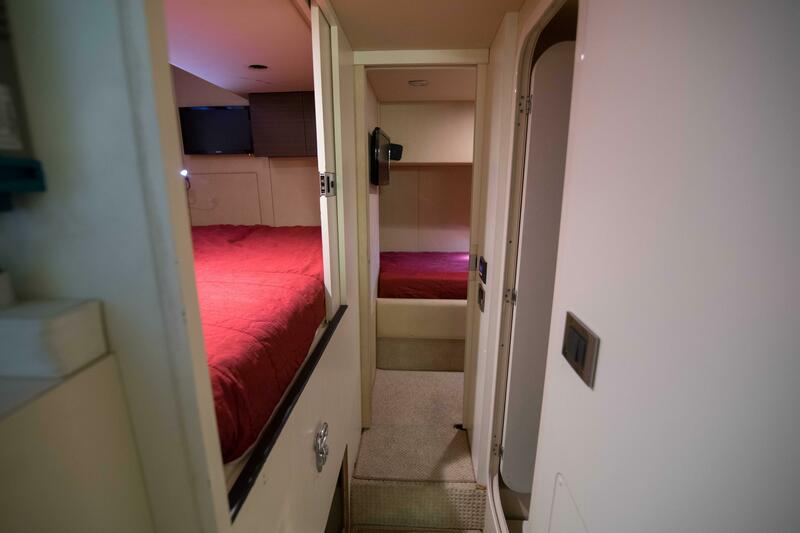 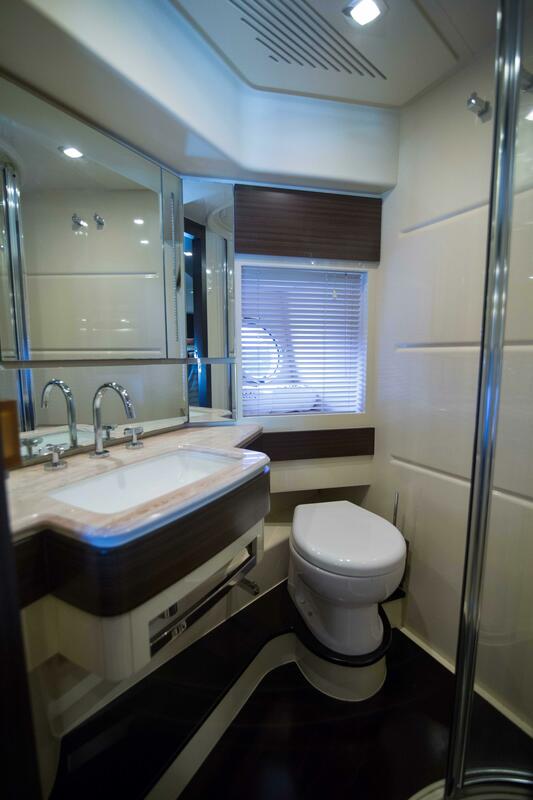 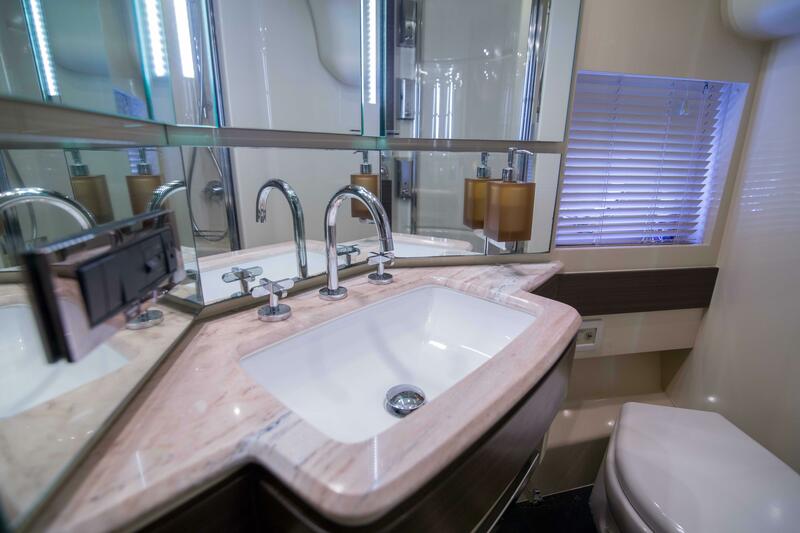 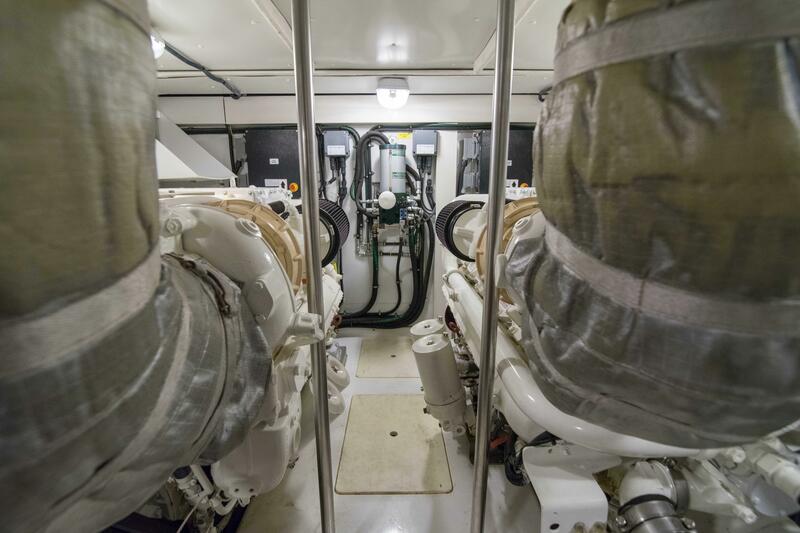 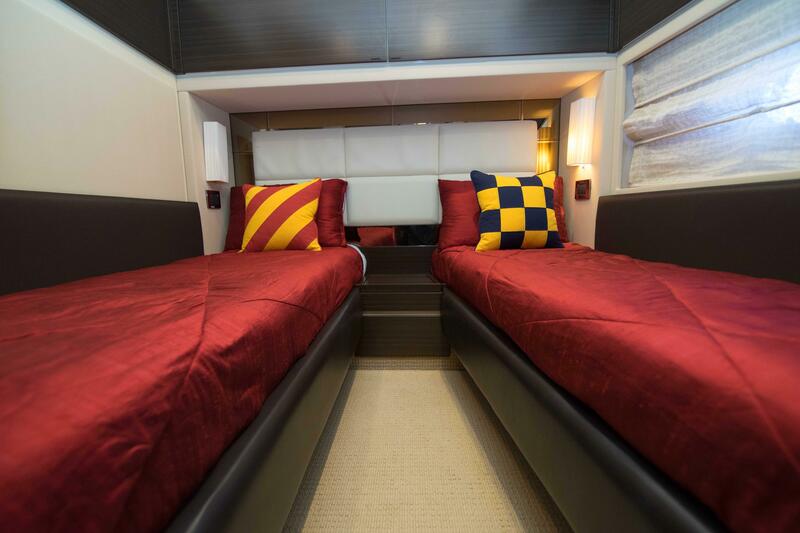 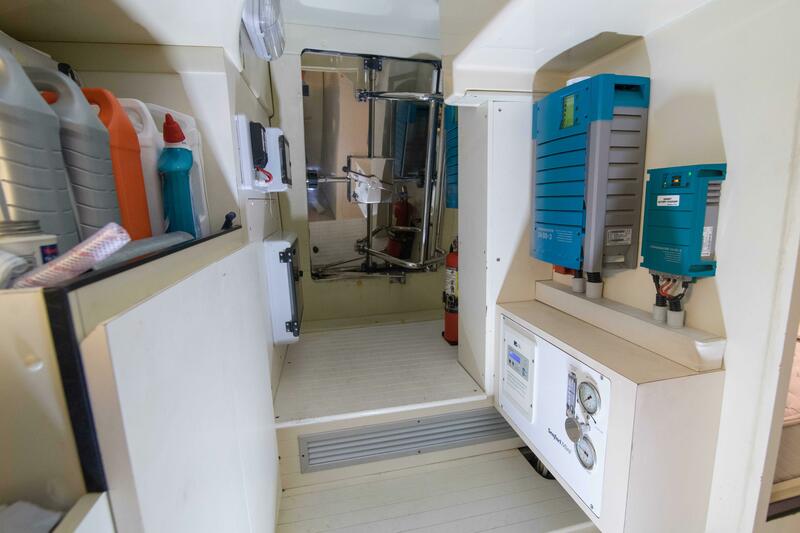 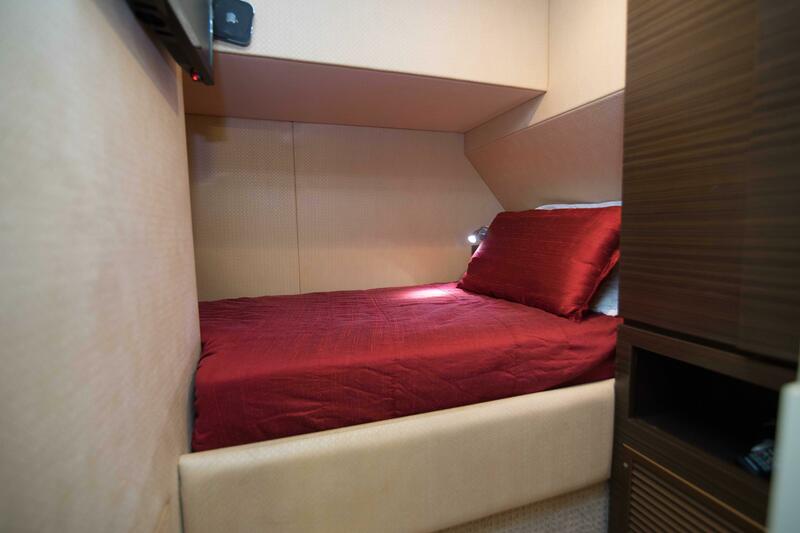 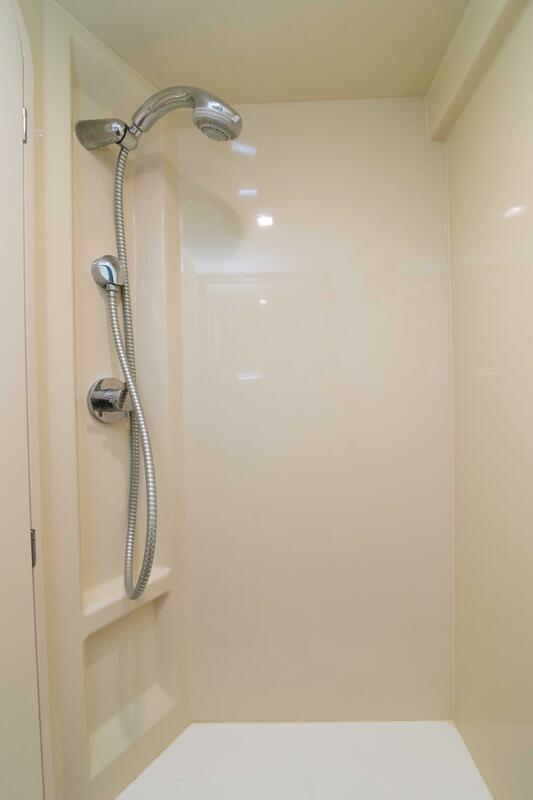 Featuring a very accommodating four stateroom, four head layout with crew quarters aft. 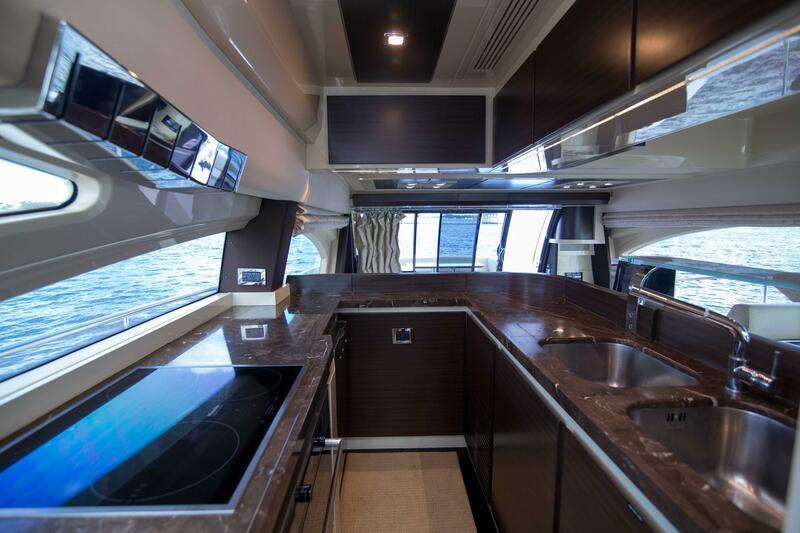 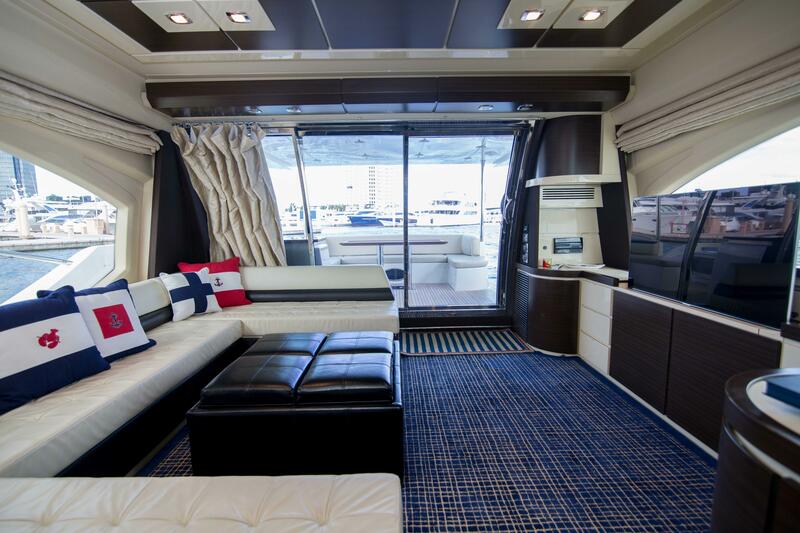 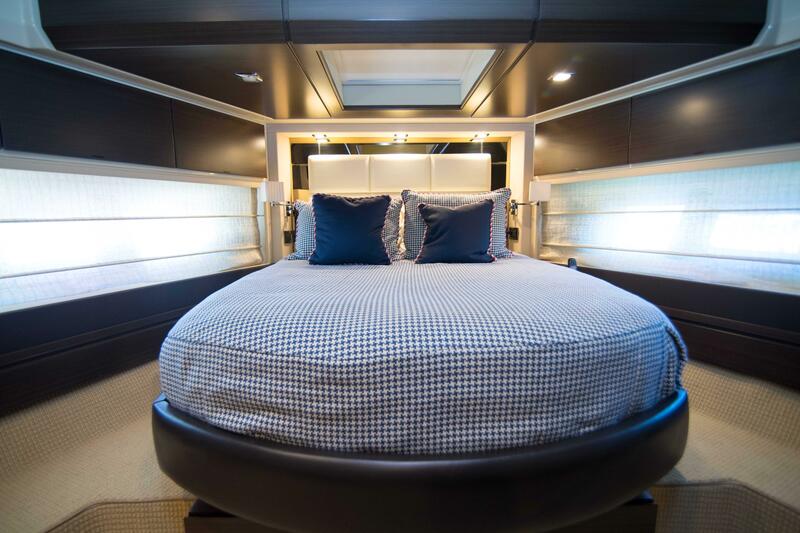 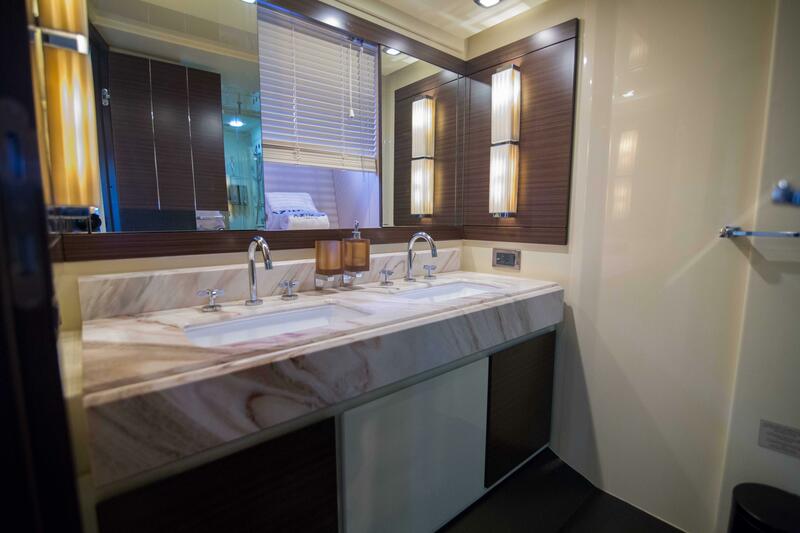 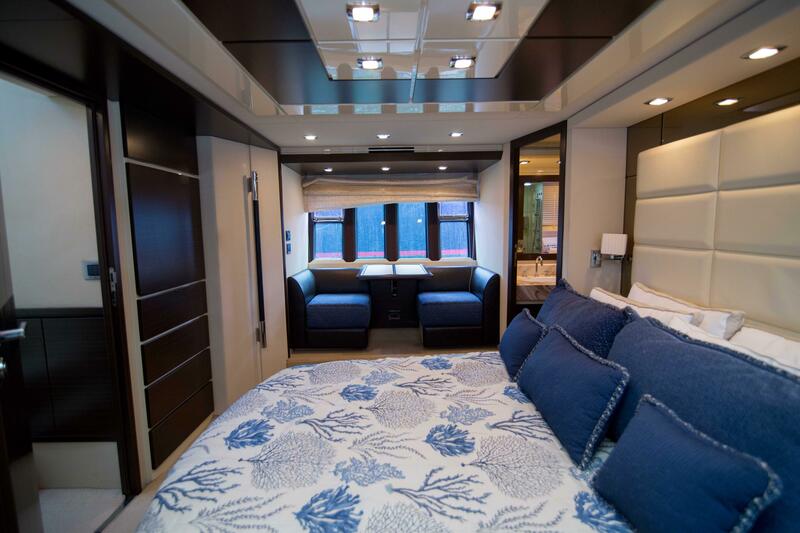 She showcases stunning interior details throughout including custom Zebrano wood joinery. 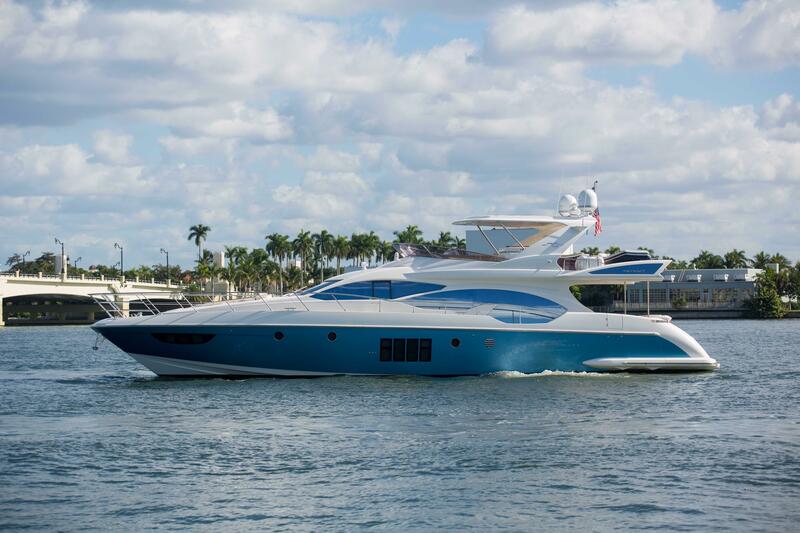 This AZIMUT YACHTS 70’ boasts a head-turning profile with a Tenerife Blue Hull and Bright Arctic white gel coat. 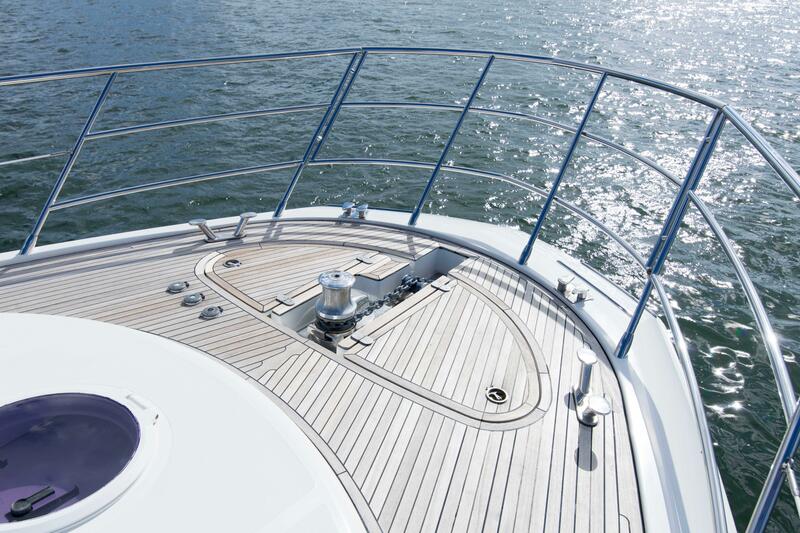 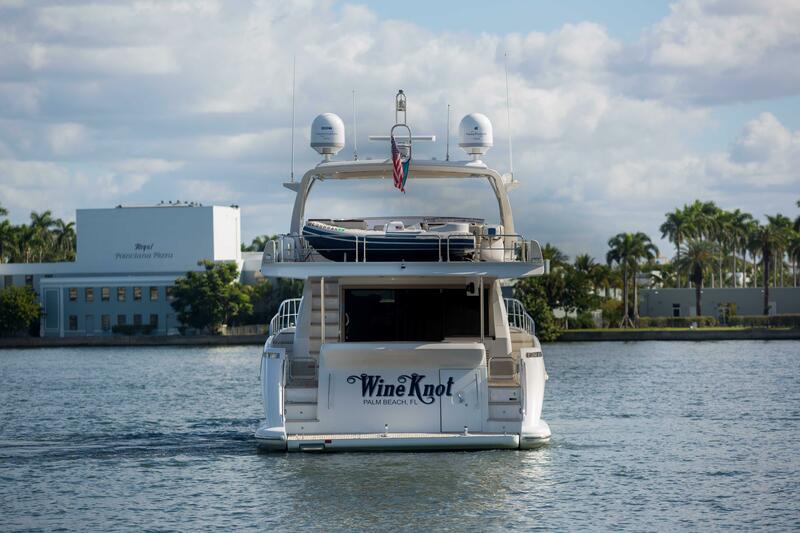 While underway, you’ll find that the WINE KNOT delivers an exceptionally stable ride thanks to her two SeaKeeper Gyros. 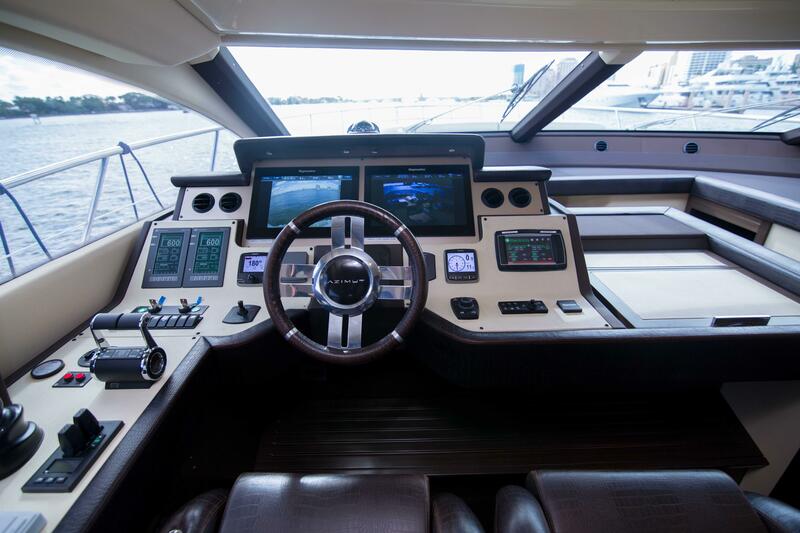 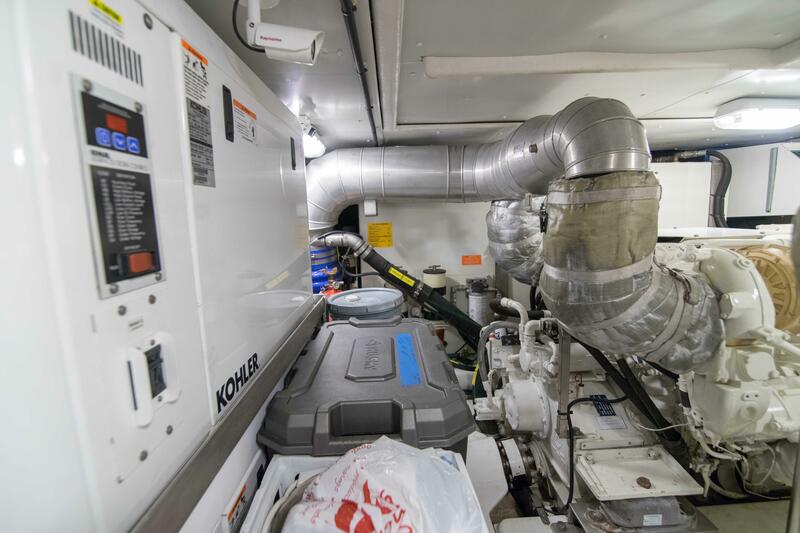 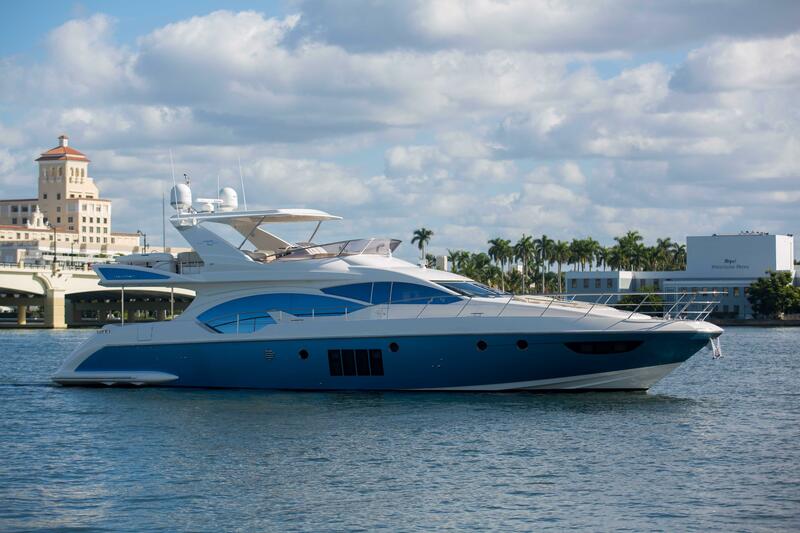 Powered by twin MAN Engines at 1360 hp each, this AZIMUT YACHTS 70’ FLYBRIDGE offers stellar performance. 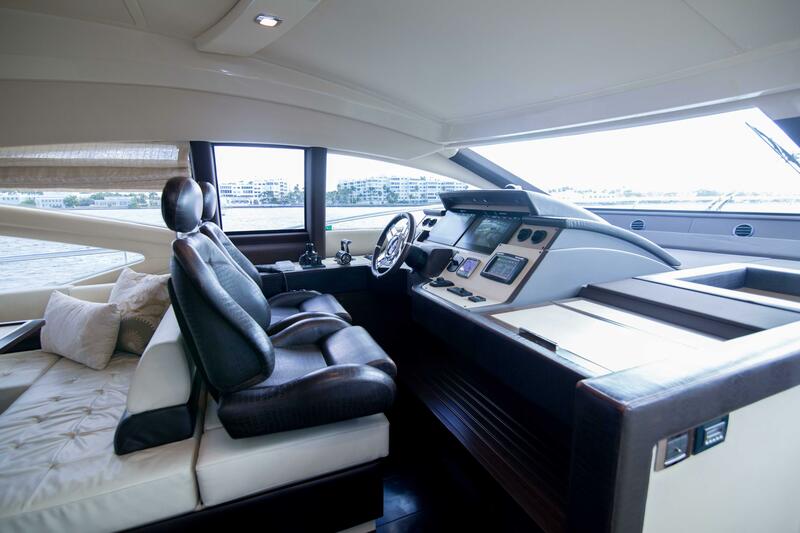 Her 1000 hour service was just completed. 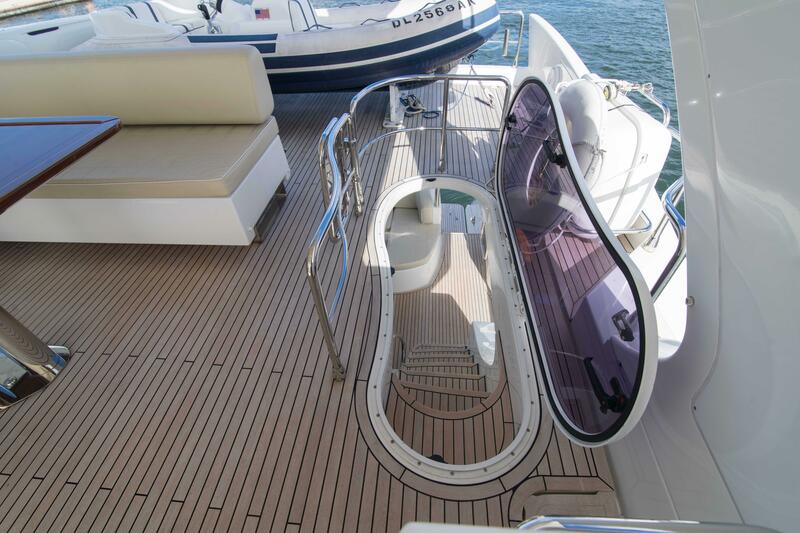 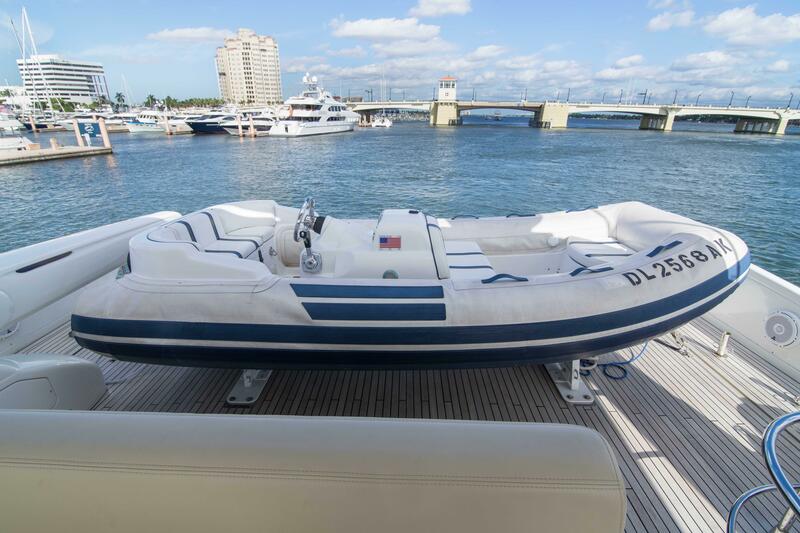 Additional highlights on board WINE KNOT include: a hydraulic swim platform, underwater lights and a 2013 Nautica Jet Tender. 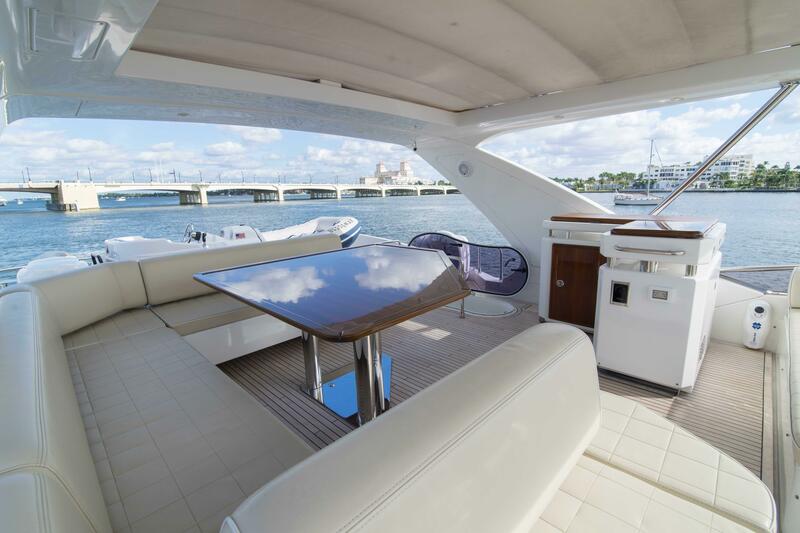 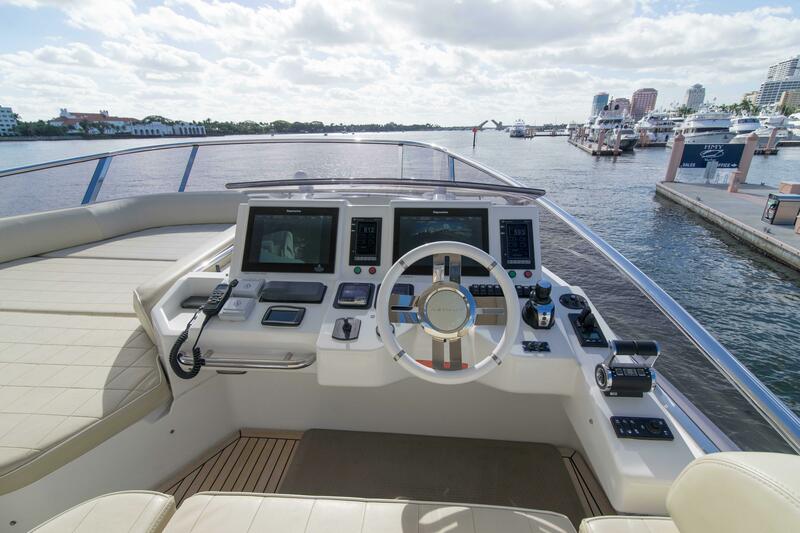 If you are in the market for a well-maintained 2014 AZIMUT YACHTS 70’ FLYBRIDGE MOTOR YACHT, WINE KNOT deserves your inspection today.